Matt Mitrione has had an up-and-down career in the Octagon, but doesn’t believe that his most recent low, a loss to Travis Browne, was justified. The loss to Browne occurred at UFC Fight Night 81 on Jan. 17 in Boston. Mitrione on Monday confirmed that he is filing a grievance with the Massachusetts State Athletic Commission pointing to numerous errors on the part of referee Gary Foreman, as well as a possible conflict of interest. News of the complaint was first reported by veteran MMA journalist Duane Finley. 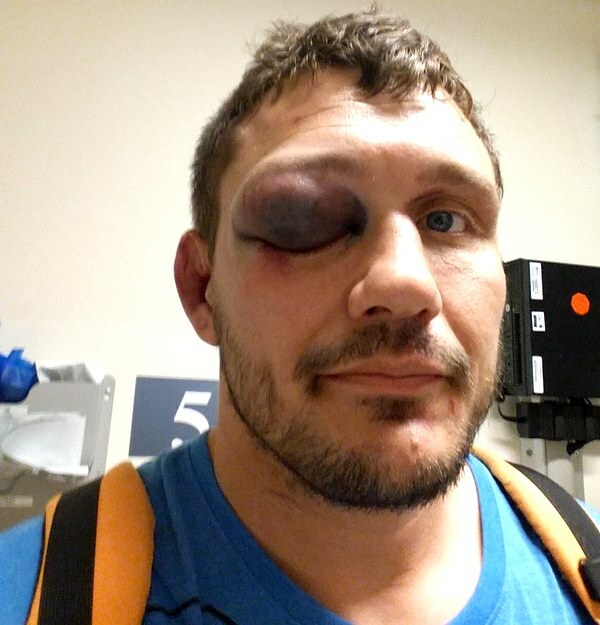 During the fight, Mitrione suffered a couple eye pokes that he and his camp believed were mishandled by Foreman, and detailed multiple transgressions in a letter of complaint. Mitrione emerged from the fight not only with a third-round TKO stoppage loss on his record, but a fractured orbital bone and separated shoulder that necessitated surgery. Aside from mishandling the fouls in the ring, Mitrione and his camp believe that Foreman, who owns the CageFX promotion with his wife, had no business being in the Octagon as a referee due to a conflict of interest, as well as having a lack of experience coupled with poor performance as a referee in the past.